A couple of months ago I swatched the Nars Blanc De Sable highlighter trio palette at Sephora and swooned over the weightless, yet buttery powders with the most beautiful shimmer. But the darker two shades looked to rosy to be highlighters on my skintone so I passed on it. Well, I'm so glad I held off on that purchase because Nars recently unveiled what I consider an even better big sister version of Blanc De Sable: the Bord De Plage palette. While I'm not exactly sold on the name of this palette, I love everything else about it. The palette is only $10 more than Blanc De Sable at $59, which I think is very reasonable for the quality and the variety you get. There are two matte bronzers, Laguna and Casino, and four highlighters, Rivage (which was in Blanc De Sable) , Crique, Corniche, and Galet. Each pan contains .12 oz of product so you get .72 oz total. For reference, Charlotte Tilbury's Filmstar Bronze and Glow only contains .56 oz and costs $68. The Nord De Plage palette is manufactured in Italy in case you were wondering. The packaging is stunning from the moment you touch the rubberized cardboard box to when you open the sturdy plastic compact. The burnished grunge design isn't really my aesthetic but I still think it looks cool and definitely high-quality. The plastic case is nicely weighted but not too heavy for travel. I like that the case is not rubberized like the usual Nars packaging which can sometimes turn grubby. The palette is sizeable so it's not the best for traveling light but I think it would be reasonable to pack for a two week or longer trip since you have two bronzers and all the highlighting shades you would ever need. The entire inner lid is a really high quality mirror which I really appreciate and it's the reason I would bring this on a trip. 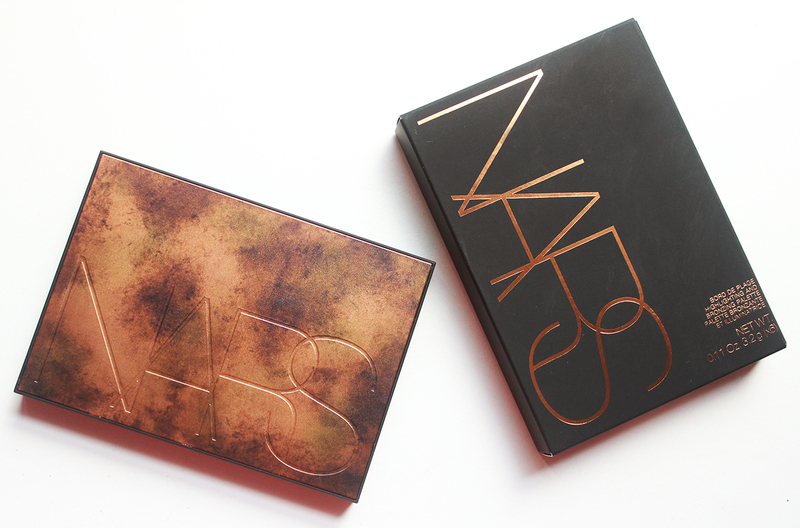 Nars has been nailing the design of their palettes lately and Bord De Plage is no exception. The powders are so beautiful in direct sunlight. I could barely bring myself to take the first swatch. The minimal embossing on the powders is an elegant touch and makes the palette that much more beautiful. The pans are the perfect size for me because I've taken to using smaller cheek brushes lately. But if you are accustomed to swirling a big fluffy brush into your bronzer or contour, you will have a hard time not getting some highlighter on your brush too. In terms of shades, this palette is very warm. 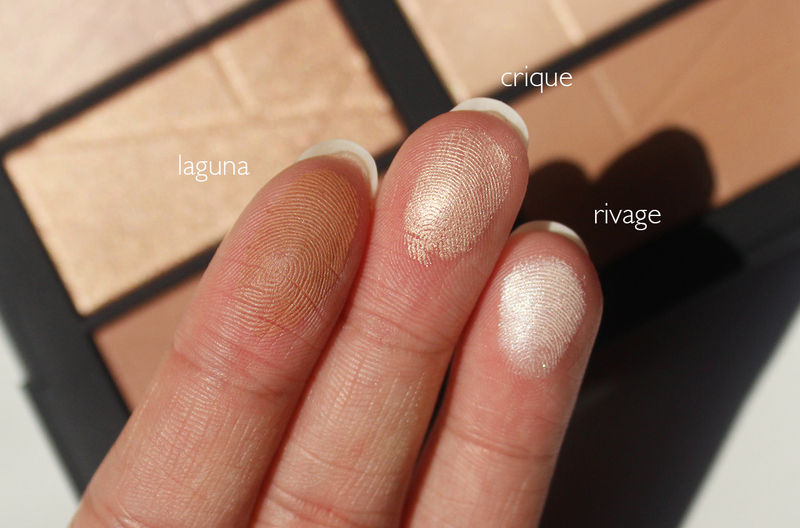 Though at first glance this shade scheme screams summer to me, the lightest highlight, Rivage, is actually perfect for fair skin tones. The bronzers are quite subtle but buildable so you can dust on a light layer if you're paler. The powders also work as eyeshadows so I'll likely use the darkest highlight, Galet, mostly for that purpose. I think they could have skipped one of the highlighters and added a satin blush color instead to make this an all-in-one palette. 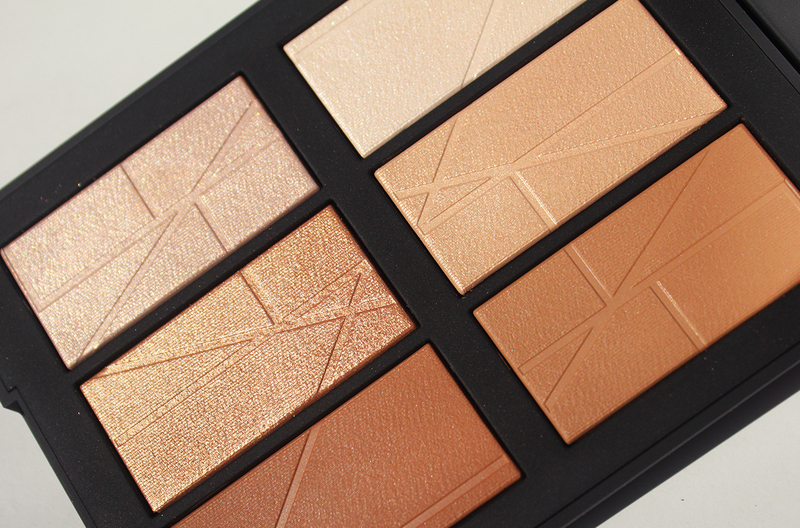 But if you want a bunch of warm toned highlighters in one palette, this is perfect. The formula of these powders are the gelee type - I believe it's the Nars Dual Intensity formula or something similar. 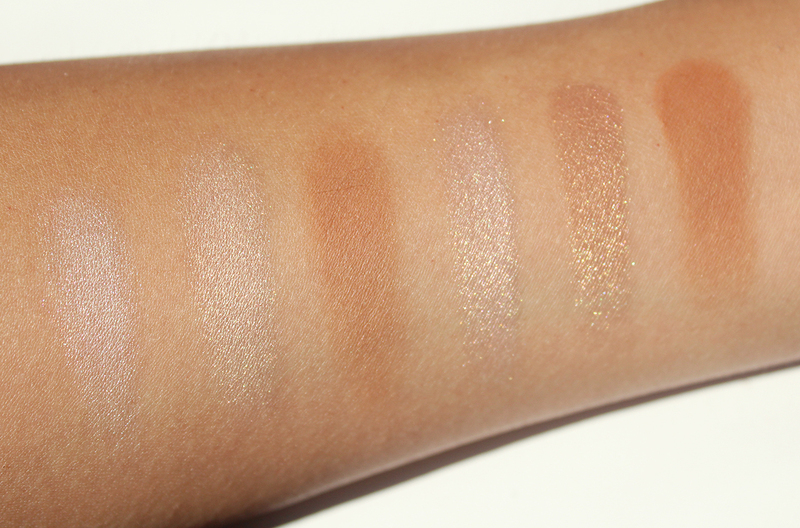 The bronzers are in the new-ish Sun Wash Diffusion Bronzer formulation. Nars says these can be used wet for a more intense shine but I plan on using these dry only. I love gelee texture powders because they feel so light on the skin yet pack so much sparkly goodness. The shimmers are very fine and not chunky at all. They blend nicely onto my skin and don't leave a harsh streak of shine. The bronzers aren't as pigmented but I think that's a good thing. Better to build up color rather than spend 10 minutes trying to blend out a harsh stripe. Laguna is the cooler of the two bronzers and it's a really great universal shade - I can see why the regular Laguna bronzer is one of Nars' bestsellers. 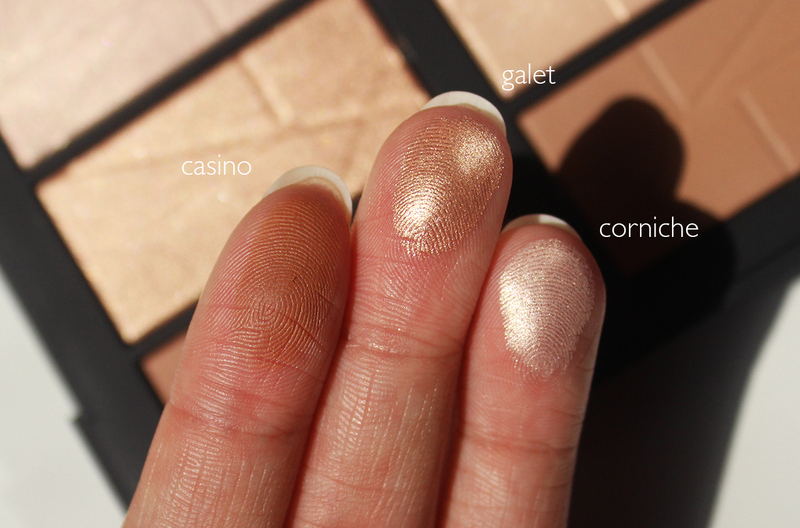 Though Galet will probably be a bit tricky to pull off as a highlight on my skintone, I definitely think it's one of the stunners of the palette. It's a very unique bronzey, almost rose-gold, shade that I'm sure would look amazing on deep skin colors. Here you can see all the shades swatched side by side. You can see the subtle tonal differences between the highlighters here. But once they're applied to the face, it's very hard to discern Crique from Corniche. Still images can't quite capture the beauty of this palette so I made a GIF to offer a better idea of the incredible shine and glow the highlighters pack. I can't get over how stunning this palette is. It's definitely one of my favorite purchases of this year so far! The Nars Bord De Plage palette is currently exclusive to Nordstrom (I ordered mine online) but should be available at other Nars retailers in August. It's also limited edition so definitely try to scoop this up sooner rather than later if it catches your fancy. I have a feeling it won't stay in stock for very long. But maybe people are highlighter-ed out from all the palettes and value sets by now.... I easily resisted the Anastasia Glow Kits and Becca Glow Palettes but I fell straight head over heels for this Nars one. 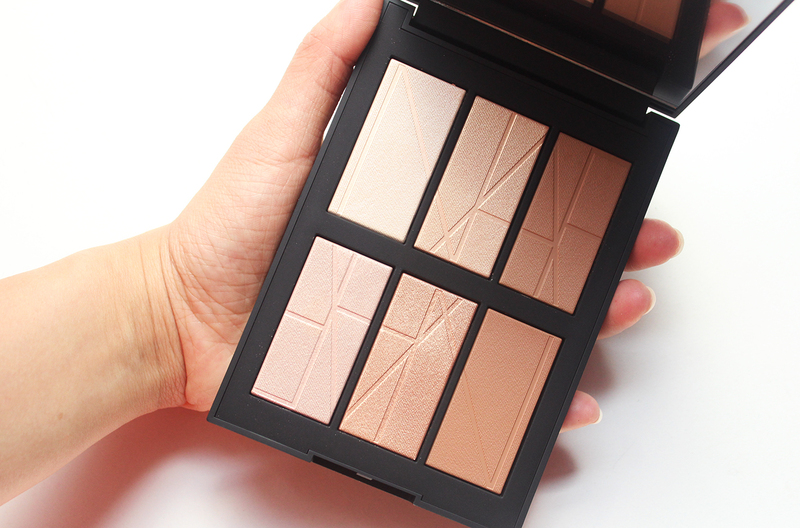 What do you think about the Nars Bord De Plage palette? Love it? Hate it? Are you tired of seeing highlight and contour kits? Would love to hear your thoughts on this palette if you bought it also!